Between March and November I attended 7 trade shows with AAW. That’s roughly 7 weeks spent meeting interesting people, and generally attempting to keep my finger on the pulse of the industry. In that time I ate a lot of unhealthy food, distributed hundreds of catalogs and shared hotel rooms with several fairly enthusiastic and productive snorers. I could have lived without all the snoring, but I truly enjoyed myself (and the junk food) at each event. I also spent a good deal of time discussing future plans. Most car enthusiasts can immediately tell you the planned compression ratio of their engine and the color of their car’s interior, but wiring usually doesn’t become an action item until it’s absolutely necessary. It’s incredibly satisfying to see the relief and excitement on an enthusiast’s face when they realize wiring their car doesn’t need to be a headache, and that they have a resource to help make things easy. These interactions are part of what make shows enjoyable, and the sales team loves taking the time to meet our customers and dealers in person. We won’t be offering our “on-road mobile planning services” again until 2015, but as with most things, there is a wealth of information available online to help you get your project moving in the right direction. 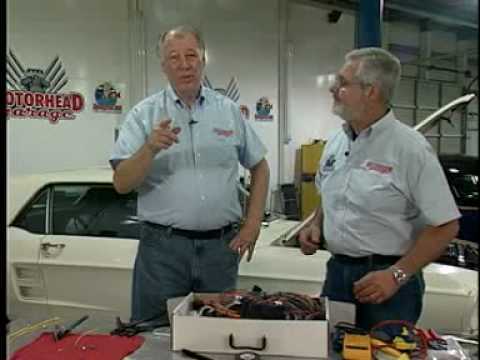 In fact, the folks at Capp’s Hot Rods recently put together an article with some excellent tips…it so happens they also have fantastic taste in wiring harnesses as well. Thank you to everyone who took the time to visit us on the road in 2014. Hopefully we’ll see you again in 2015!